The wooden framework and cladding are treated free of charge in our manufacturing depot. As these sheds are made from a 38mm x 50mm planed framework, they are extremely durable and sturdy, and with yearly maintenance to prevent rot and decay they will last for years! The cladding is 16mm planed tongue and groove wood, finished to approximately 12mm. 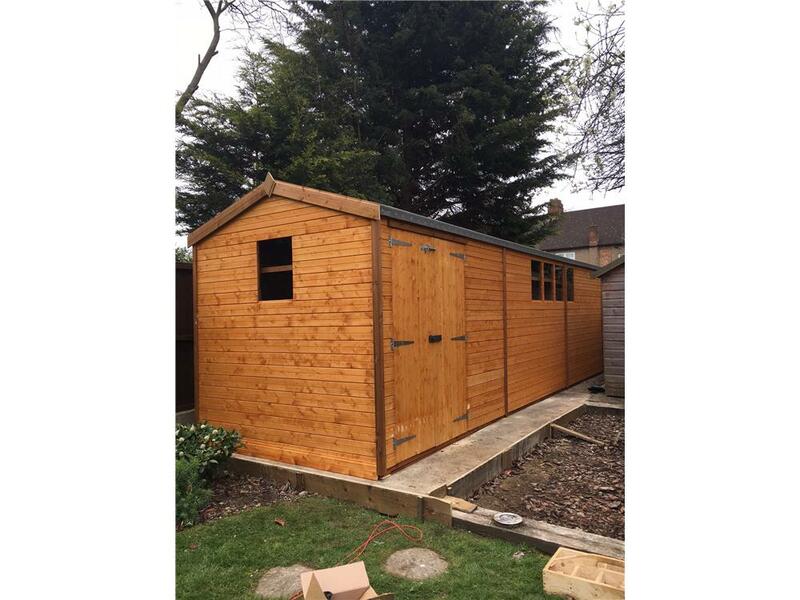 Altogether, a standard shed is an excellent and affordable solution for storage of your garden furniture and tools. Don't forget, you can change any part of your shed, we've just started you off with the typical Classic Shed set-up! Very easy and straightforward purchase from start to finish. The communication with the team has been excellent throughout and delivery was quick and convenient. I'm very pleased. 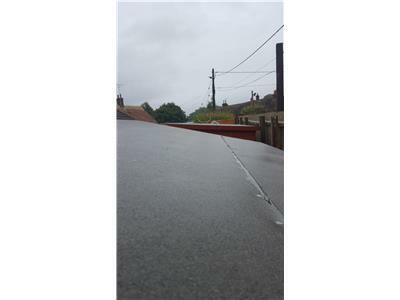 it was excatly what i wanted and the description on the website was spot on.the two lads that brought it where very polite and very professional. Ordering from easy shed was easy! 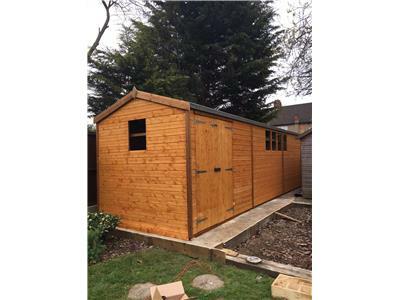 An excellent website with easy to follow instructions, even on customising sheds further. Great customer service, and really helpful and efficient delivery staff. It looks great! Looks more expensive than it was! Bought this for my sons motor bike two years ago. The size is ample for bike and plenty of storage for equipment and gardening tools, as well as somewhere for him to sit with friends when it rains. Ordering was easy, delivered on time remember the two fitters being very pleasant, efficient and quick. The shed has done two winters and is still as good as the day it arrived.Treated it only once so far, will do again this summer. Recommend to anyone. 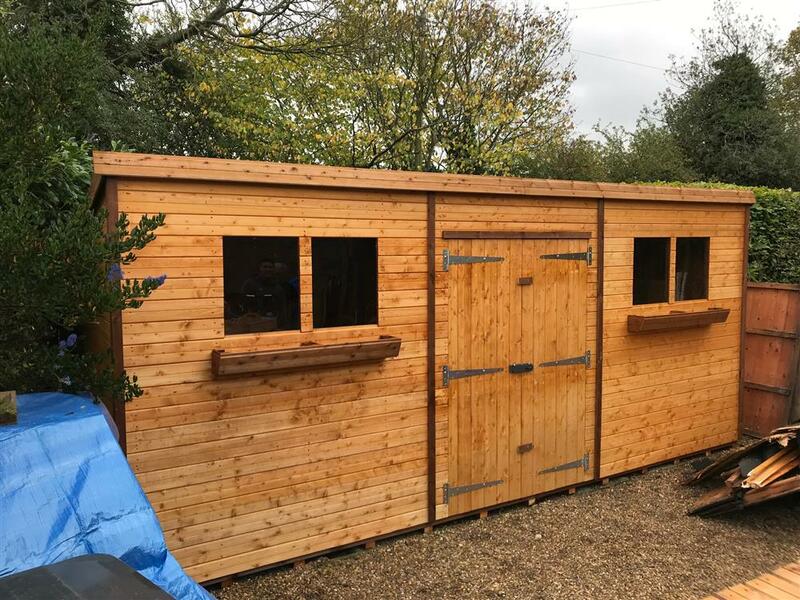 we ordered a large shed to accommodate all the junk my girlfriend moved in with, was dubious about the whole thing but to my relief the company was very professional, on time and efficient. They did a good installation and even cleared up after themselves. all in all, very good. The customer service was fantastic right down to choosing the day of installation, nothing was too much trouble. The installers were very efficient and friendly. The shed itself is well made and smells lovely (I know, I know...). The build quality, design and construction. Excellent addition to the garden. 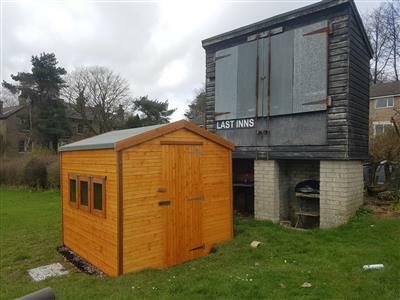 Needed a replacement for my old shed and found this one easily on the web. I opted for the pre-treated version with installation included. The service was fantastic and the shed is great! The guys who came to deliver and put up the shed were friendly and efficient. Sturdy construction and good quality wood. Should have bought a bigger shed! The shed is exactly what we asked for. It's robust, the odd shape we requested, was delivered on time and put up for us. Easy! It's a long thin shape, which is exactly what we needed. On the whole, really good product. Very happy with quality, service and value for money. The shed is very robust and well made, entirely to our specification. The service was excellent and we were kept fully informed of progress. The team putting up the shed were bang on time and very efficient! I am very impressed with the whole process with Easy Shed. The sales team were very helpful, and the installation team was very efficient, only taking 35 minutes, in the pouring rain! 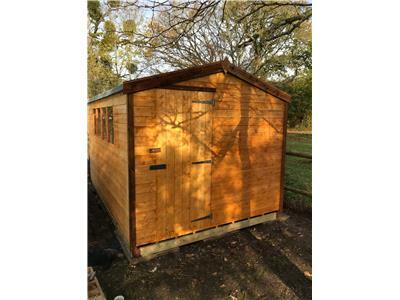 The shed is well made, and good quality. I would recommend Easy Shed to anyone! My new shed is great . Excellent quality the fitters were very quick and efficient. good workmanship, good service and an excellent shed. 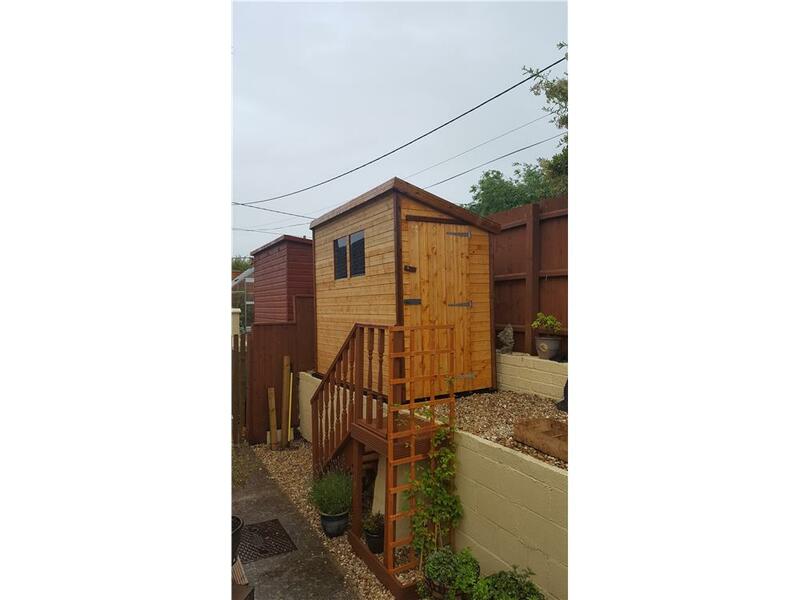 Person I spoke to on phone very courteous and helpful, shed installed quickly and its doing a good job now! A perfect all round service. A credit to internet shopping and shoppers. Highly Recommended. Excelent shed, delivery and building team also excelent, many thank, recomended! could not ask for better, many thanks! 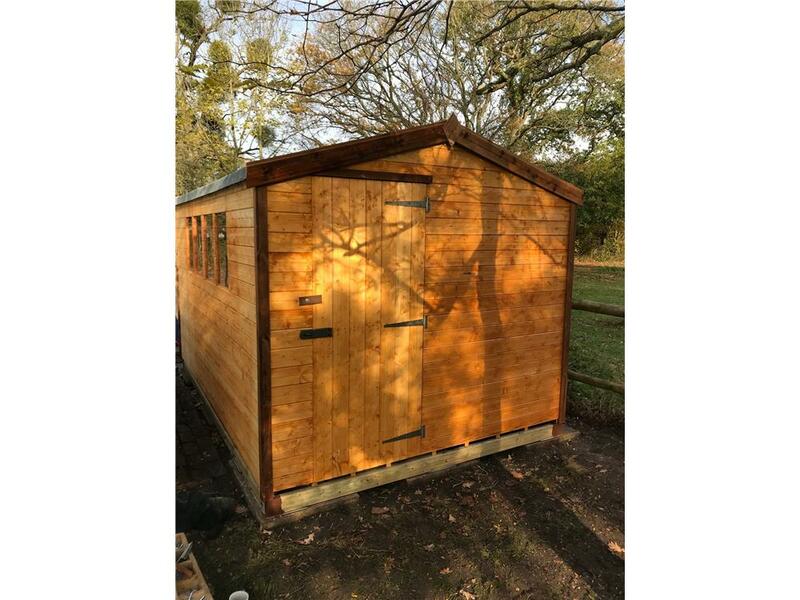 Quality shed, strong and sturdy! Nice one! Great company,best value for money out there! Magnificent all round! V.high quality product. Superb aftersales service. This isn't a shed, it's a building. Solid, well made. Would buy from them again! great shed,lots of room and very solid. Great company to deal with. Excellent commucations, Very quick & professional. Thanks. 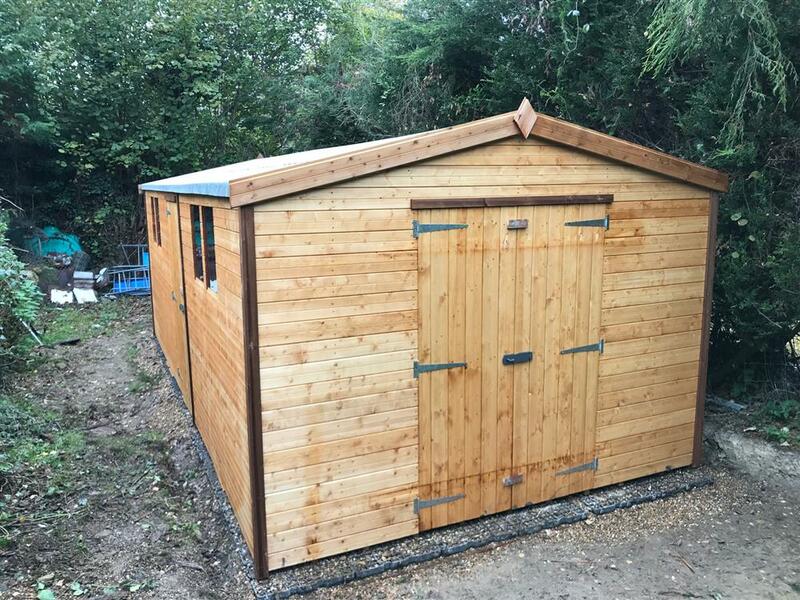 wonderful shed thanks, very pleased with the excellent quality & service. Whent out of there way to deliver early Fantastic products will recommend. Can't rate this company high enough! Got my shed delivered and fitted for free - all on the same day! Top quality shed, feels really sturdy. I'd say go for Tanalised wood as it'll make your life easier saves you treating it every year! As the previous review said, not the cheapest, but by far the best quality! My husband loves his new shed and the delivery/build on Saturday was brilliant. Please pass on our thanks to the man who did it ? I don?t know his name. 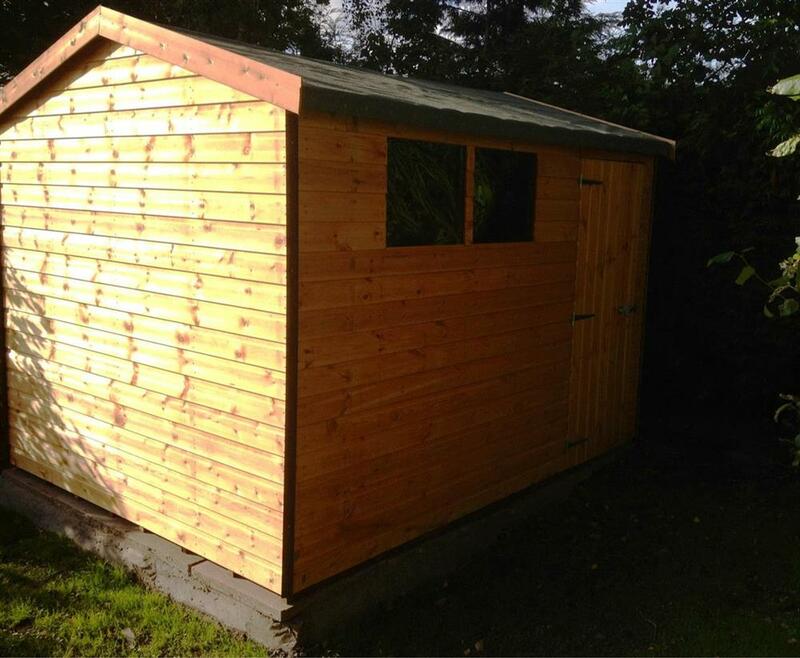 I have attached a photo of the finished, treated shed for your website. grand daughters love it, Honest blokes A+ thankyou. Shed top quality, as strong as they say! Will last a lifetime! Perfect - could not be better. Great shed, amazing service - amazing -thank you! Fantastic service. Came and put up brilliant shed!!!! Great shed Looks the biz. Flooring same spec as walls! A 2.5 tonne forklift truck drives over our BEAST FLOORING and then over a competitors... The Beast flooring withstands everything the forklift throws at it. Our competitors flooring cracks up and excepts defeat.